Naxos is connected to Piraeus, and the rest of the Aegean ports (Piraeus, Paros, Ios, Santorini, Iraklia, Skinousa, Koufonisi, Donousa, Amorgos, Syros, Tinos, Mykonos , Ikaria, Samos, Iraklio, Thessalonika) by ferry boats, high speed crafts, and flying cat crafts running on regular scheduled time tables. 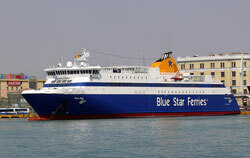 Itineraries are serviced by ferry lines such as Blue Star Ferries (www.bluestarferries.gr), Hellas Flying Dolphin (www.dolphins.gr), Minoan lines (www.minoan.gr), Nel lines (www.nel.gr), GA ferries. 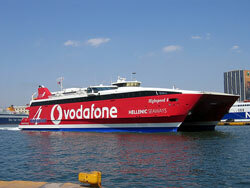 During the summer season, 6-7 ferries depart daily from the port of Piraeus destined for Naxos. There are morning ferries departing from Piraeus at 07.25 and 08.00, afternoon ferries departing at 16.30 and 17.30, and some evening ones departing at 20.00 and 22.00. Sea Liners complete their voyage (from Piraeus to Naxos) in approx. 6 hours and 20 min., Blue Star Ferries in 5 hours 20 min., and the High Speed boats in about 3 hours and 30 min. For more information on boat schedules and itineraries, please visit the official site of the Ministry of Mercantile Marine (www.yen.gr). 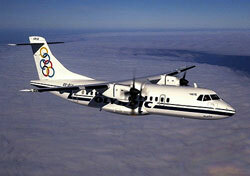 For persons wishing to travel by plane there are daily Olympic Airways flights (tel. : 2109666666, Naxos (Naxos tours) tel. 22850 23043) leaving from the airport of Eleftherios Venizelos (Athens). Fight duration approx 45 min.